John Portnoy of Wellfleet raises his own bees. He has one Russian colony headed by a Russian queen that he purchased. His other hives are headed by queens that are survivors, so he bred from his best queens every year in the hopes that his bees will get better and more locally adapted. The Local Food Report with Elspeth Hay. The reason this is important is because keeping healthy hives in our area is getting harder and harder. The main challenge is a parasite called varroa mite. John explains that they’re a new problem, “When I first had bees in the late 1980s, there were no varroa mites on the Cape, at least not this far out on the Cape. It was so easy to keep bees. I was a really bad beekeeper but I always had bees, they never died.” But then the varroa mites came. He had four colonies that winter and they all died. John says that’s pretty much what happens if you don’t manage your bees now. You need to manage your mites. Varroa mites attack both adult bees and their larvae by sucking their blood—they’re kind of like a tick. This weakens adults and can even deform young bees, and if an infestation is left untreated, eventually the mites will kill the colony. 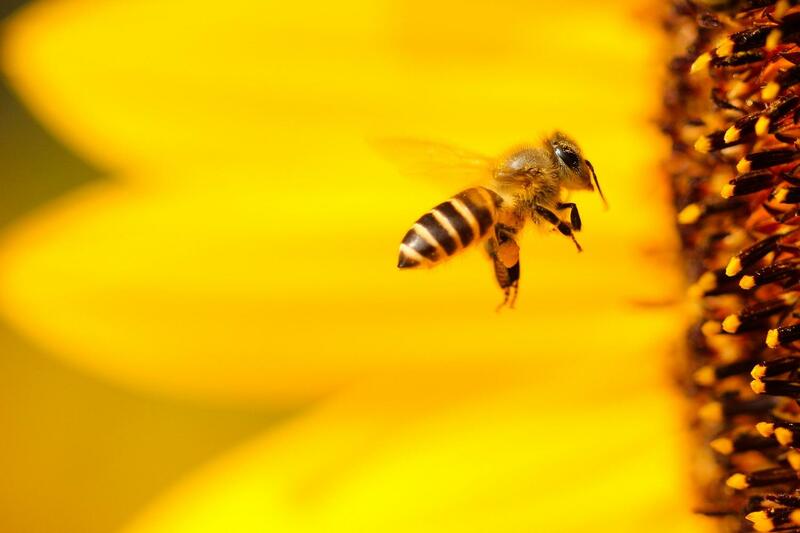 To try to fight back, beekeepers use organic acids to treat their hives. John only treats his colonies that have a high infestation rate. He explains, “I don’t treat my really good colonies that are controlling mites on their own, because I want to see how they do. I want to be able to discriminate between the really good colonies and bad colonies.” John will have several colonies that he won’t treat at all, and then he’ll breed from those colonies in the spring. 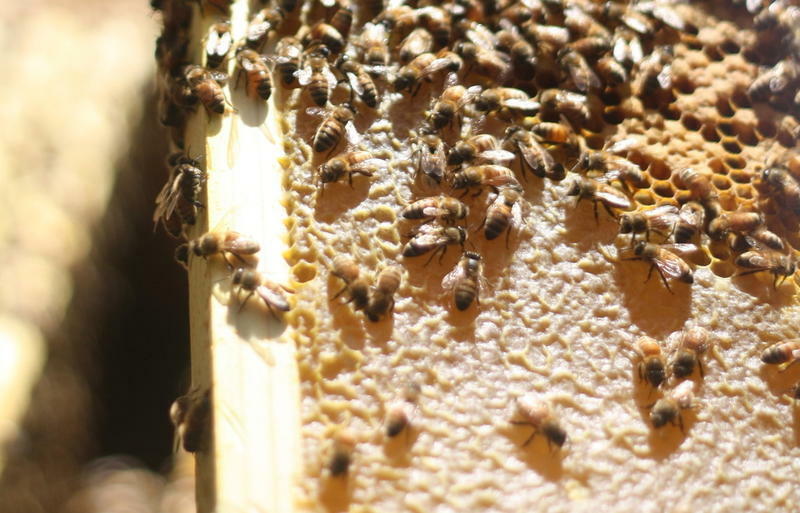 Breeding is complicated, but basically beekeepers trick their best hives into thinking they’ve lost their queen, and then these colonies raise new queens. The new queens can be moved to hives with weak queens or that have truly lost a queen, or can be used to start new hives. John started breeding his own almost twenty years ago. John mentioned Russian honeybees. He bought a Russian queen because the varroa mite is a natural parasite of the European honeybee. John says, “European honeybees first encountered varroa mites when honeybees were shipped to Eastern Russia, where the varroa mite is native and normally infests the Asian honeybee and when those European honeybees first encountered varroa mites, most of them died.” But some of them survived. That was about 100 years ago, and those survivors developed some resistance, so quite a few years ago the USDA heard about these Russian bees and started importing them and then they did some selective breeding to ensure that they were good honey producers and easy to manage. They weren’t really aggressive. This resistance is helpful, but John is working to breed for a Wellfleet honeybee that has an even better shot at survival in our area—one that is continually getting stronger and stronger against varroa mite, yes, but also one that is adapted to local climate conditions. You may recognize John Portnoy’s voice—he and I spoke earlier in the year about a project he’s doing with his honeybees tracking nectar collection and bloom times to get climate data for NASA. Raising local varroa mite resistant queen bees may not sound related. But they’re both about adaptability. As globalization and climate change threaten local honeybees, the big question is whether or not and how they’ll be able to adapt. 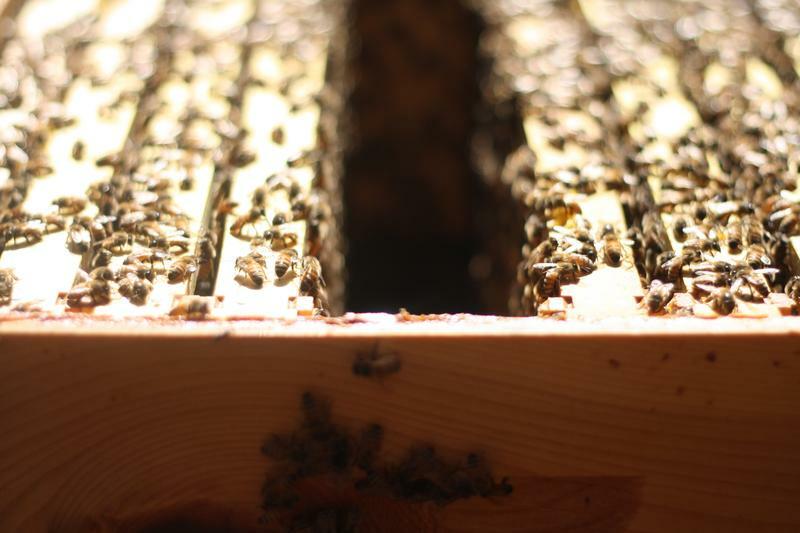 Breeding and spreading strong, healthy local honeybee queens is one way of bettering the odds. We’ve been talking recently on the Local Food Report about pollinators and specifically honeybees —why we need them, what challenges they face, and what local beekeepers, farmers, and citizens can do to help. See below to hear our other stories on the subject. And for those interested in learning more and keeping current on honeybee health research, several local beekeepers have recommended the website Scientific Beekeeping as a resource. Around 2006, beekeepers and scientists started talking about something called colony collapse disorder. CCD at that time was a new phenomenon; suddenly whole hives of worker bees started disappearing, leaving behind a queen, plenty of food, and a few nurse bees. Ever since, scientists have been trying to figure out why. All beehives are full of activity. This week on the Local Food Report, Elspeth Hay talks with a beekeeper in Wellfleet who's taken the phrase "busy as a bee" to another level—with one of his hives collecting climate data for NASA. 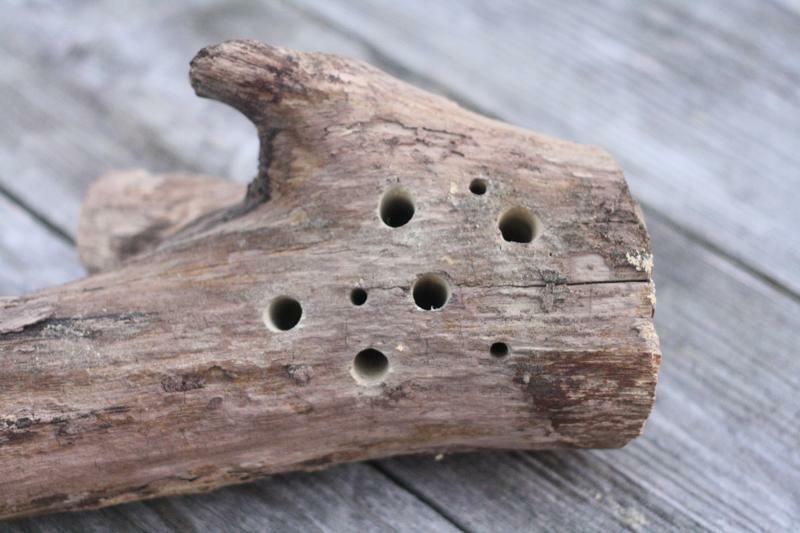 This week Elspeth Hay learns about a simple backyard project that can help increase garden yields and attract native species of bees. We’ve been talking recently on the Local Food Report about honeybees—why we need them, what challenges they face, and what local beekeepers, farmers, and citizens are doing to safeguard them. But native insects that act as pollinators are also part of this conversation. This week, Elspeth learns about a simple backyard project that can help increase garden yields and attract different, native species of bees. If you’ve been to a farmer’s market recently, you’ve probably seen more honey for sale than usual. That’s because beekeepers are harvesting this year’s crop right now.